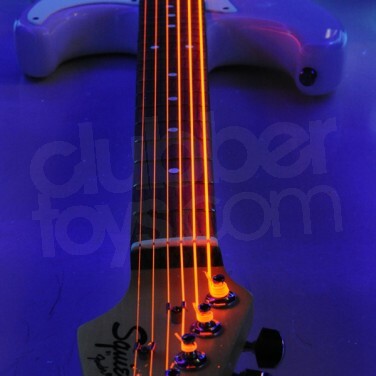 Light up your riffs for a glowing performance with Neon Electric Guitar Strings. 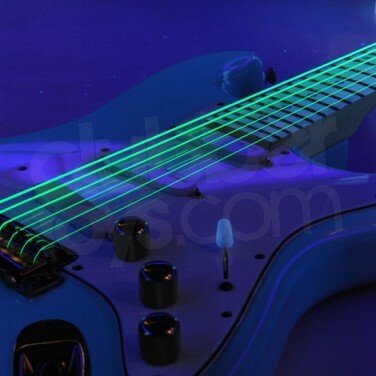 These coated guitar strings glow brightly under UV blacklight and create incredible sound for a blinding solo! 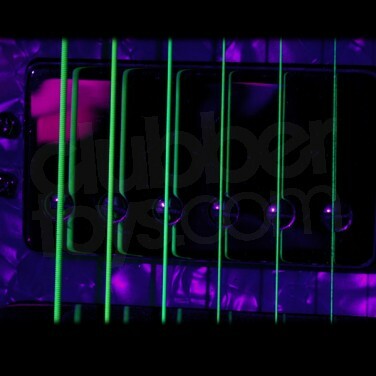 DR Neons Electric Guitar Strings are a fantastic way to add some cool colour to your performance. Super bright and funky neon colours are achieved by coating the guitar strings without compromising on quality and produce incredible sound. Loved by professional performance musicians DR Neons Electric Guitar Strings are high quality coated strings that last three to four times as long as uncoated strings and sound just as good if not better. Not only does the colourful coating look extra super funky, but they shine brightly under stage light and glow fiercely under UV and blacklight adding extra wow to your solo! Incredible sound? Check. Super funky looking guitar? Check. Outstanding musical performance? Guaranteed! 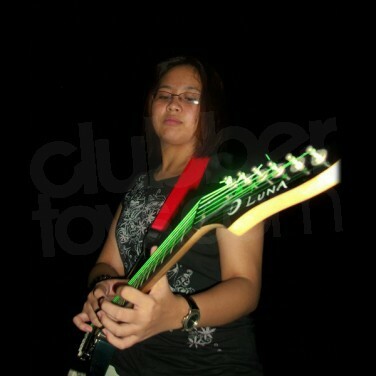 Give your performance added glow! Let the drummer take centre stage with these outstanding Light Up Drumsticks! Professional grade drumsticks that light up your solo in fabulous vibrant colour!